David Smith is a summer vision in Jonathan Mezibov's slim-fit banded collar checked sport shirt. 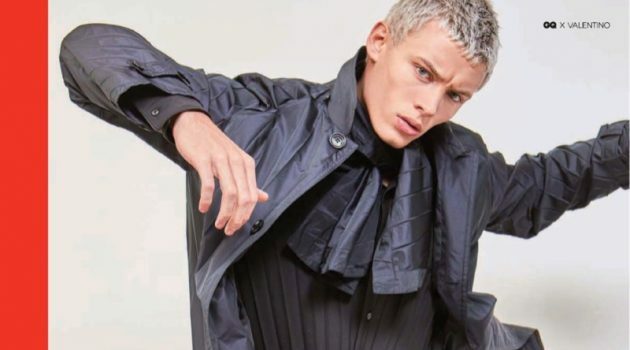 Taking aim at the modern man that shows an affinity for classic styles, Jonathan Mezibov unveils its spring-summer 2016 collection with a new campaign. 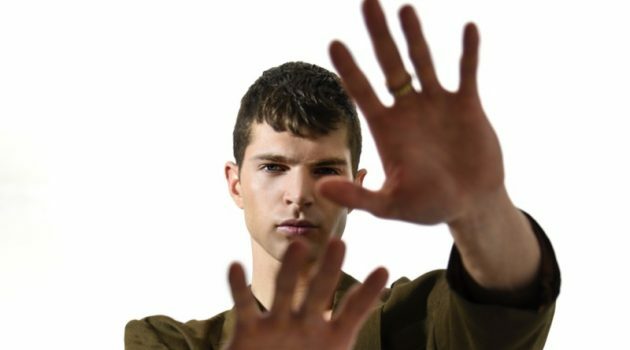 Model David Smith stars in the fashion outing, posing for images by photographer Blair Getz Mezibov. The Parrish Art Museum of Long Island's East End serves as the setting for Mezibov's relaxed spin on contemporary luxury. 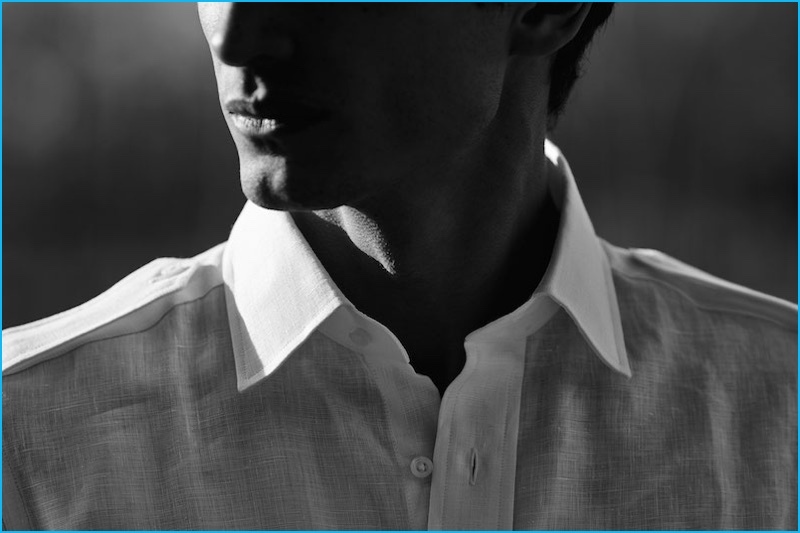 Linen and cotton shirts with fitted silhouettes are front and center for the occasion. Mezibov's impressive lineup includes slim-fit banded collar shirts, safari sport shirts and striped dress shirts. 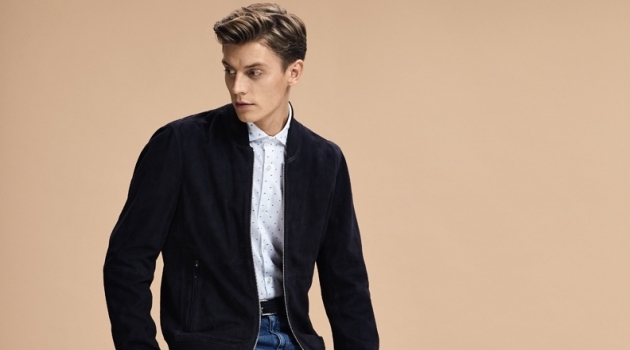 Showcasing a simple but sleek wardrobe, the label's smart array of shirts is accented by white denim jeans. 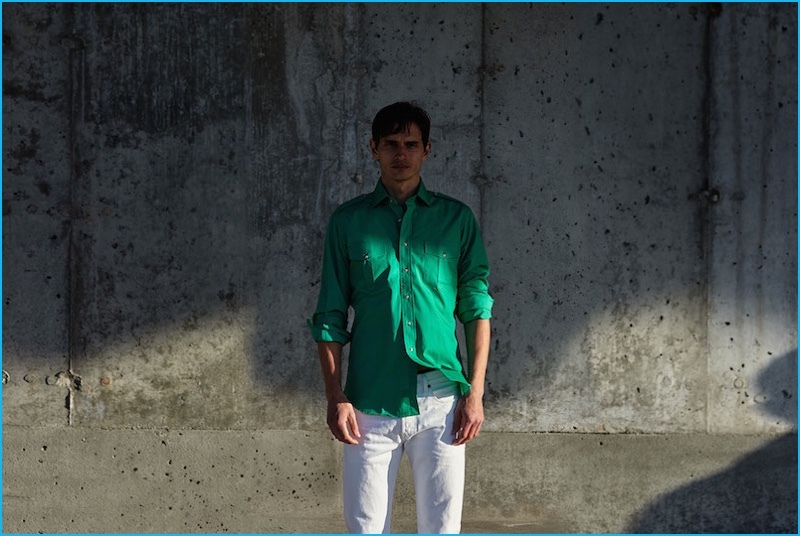 David Smith pictured in Jonathan Mezibov's green slim-fit safari sport shirt. David Smith photographed by Blair Getz Mezibov for Jonathan Mezibov's spring-summer 2016 campaign. 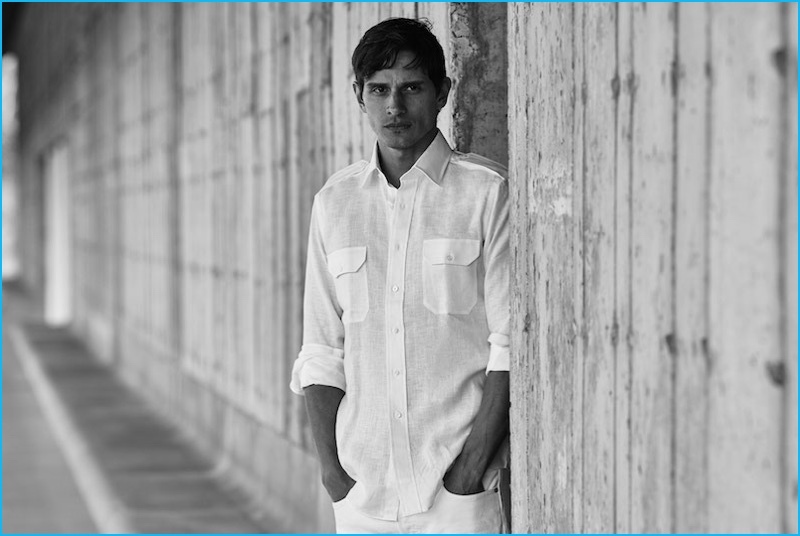 David Smith embraces summer whites in a tailored-fit linen military sport shirt from Jonathan Mezibov. 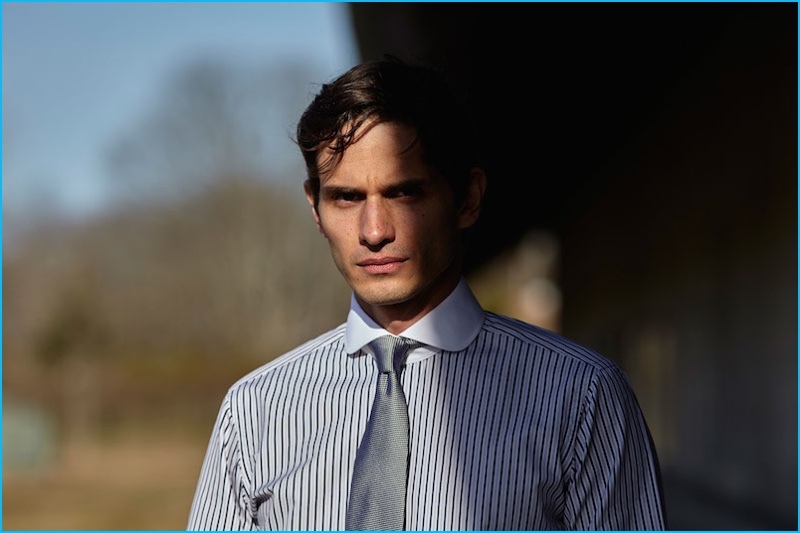 David Smith wears Jonathan Mezibov's tailored-fit Bromfield striped dress shirt. David Smith photographed by Blair Getz Mezibov for Jonathan Mezibov.